You get a favourable early impression while walking up to a GT650R. This faired-in sports bike has loads of presence, looking compact with hints of Suzuki's GSX line-up apparent from some quarters. Equipment levels are high, and the GT has neatly stacked headlights, a broad visor that protects you when riding fast, and several machined alloy bits. 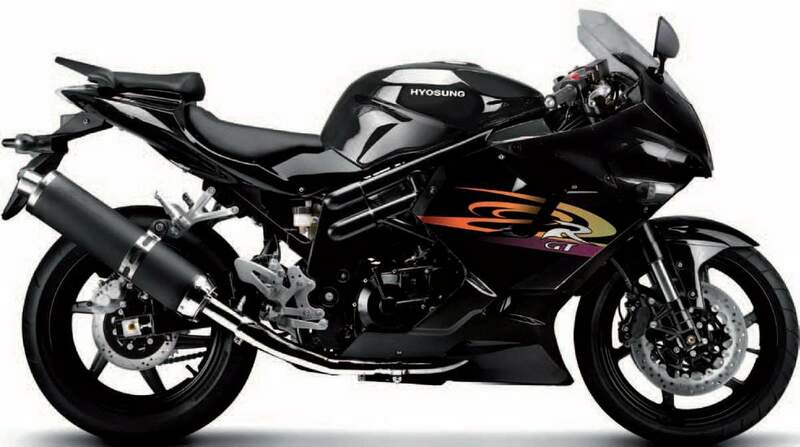 We liked the bike's aggressive-looking twin intake spouts. You look at a bold digital speedometer and analogue rev counter, apart from the usual warning lights. The GT650R has a neatly sculpted 17-litre tank and the fairing packs a plethora of smartly placed cuts and creases. We liked the tail-light as well with its smoothly contoured fairing and solid-feeling alloy grab bars. Six-spoke alloys, a massive, purposeful-looking silencer canister and an exposed chain add to the sporty aura of this Korean GT. Build quality has certainly improved over the Comet and Aquila but these two bikes were launched a while back, and the GT650R still isn't as well finished as we would have liked. The GT650R deserved better attention to detail, with parts including the steering head and instruments panel looking ordinary, and a touch too dull for a racy sports bike. It does, however, get upmarket adjustable rider pegs. The GT650R comes with a four-stroke, liquid-cooled, DOHC and V-twin format engine. Fuel injection is stock kit, although the bike didn't feel as quick as we expected whenever the throttle gates were opened. This apart, a peak power output of 72.6bhp at 9000rpm feels respectable, the bike pulling well from as low as 3000rpm, through a really meaty mid-range once spinning over 4000rpm. Maximum torque is 6.2kgm surging through at 7250rpm. The GT650R doesn't enjoy being revved hard unlike most sportsbikes, with top-end power accompanied with way too much buzz at the bars and the engine losing composure. This motorcycle likes relaxed driving. 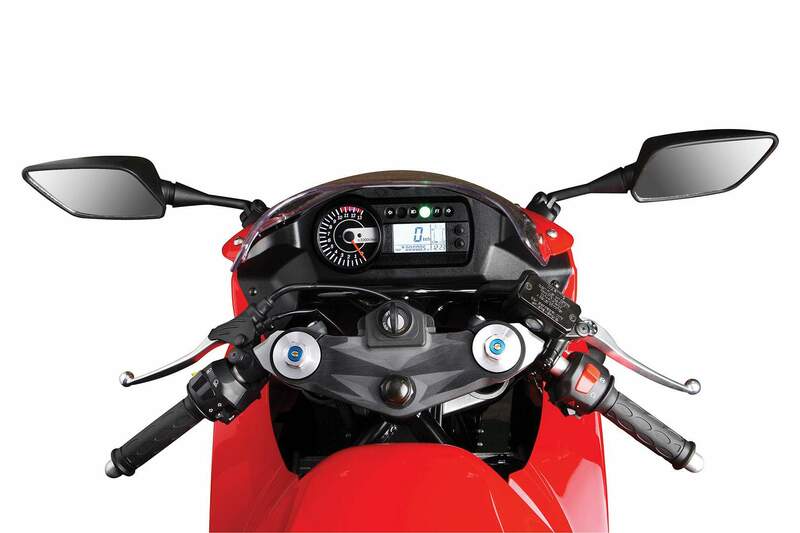 The GT650R has a six-speed gearbox, shifting in the one-down and five-up pattern. Although we found that the heavy clutch engagement could improve, we would like to reserve judgment on gearshift feel till such time as we get astride for a longer ride. 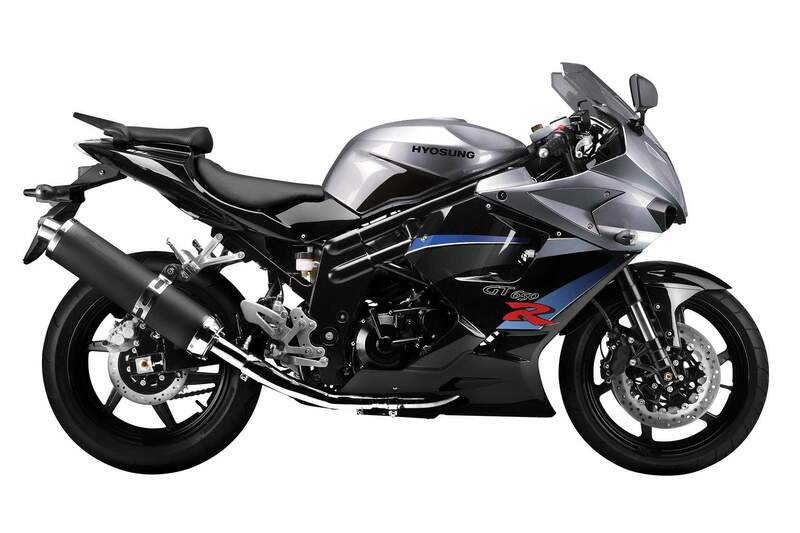 The GT650R comes with a sturdy steel frame and its slim riding saddle offers more comfort than your eyes will let on. The suspension is pretty much up there with the best on paper, inverted telescopic forks in front with compression and rebound damping adjustment, plus a single, pre-load adjustable monoshock with linkage and rectangular swingarm at rear. The GT650R we rode came shod with excellent Bridgestone rubber that offered a high level of traction and inspired a confident feel throughout our experience. While ride quality was closer to plush than harsh on our test bike, we found the GT650R a tad slow to turn-in. It takes effort to make quick directional changes, the GT feeling heavy, but also stable and well-balanced through the corners. Straight-line stability is excellent, even when flirting with high speeds. The brakes felt just about adequate, if perhaps a little lacking for bite during our short stint on the GT, with twin 300mm discs working in front and a single 230mm disc brake system at the rear. On paper, the Korean bike provokes enthusiasm. But in the real world… things turn out to be a bit different. Close up, the bike looks and feels cheaply put together and lacks refinement. On the move, it quickly informs you of its dynamic limits. The suspension simply isn’t very good and the bike doesn’t feel stable in bends. Also, the engine’s fuel-injection system needs more work – throttle response is inconsistent and getting on and off the throttle at higher revs can be jerky. The Hyosung GT650R isn’t exactly terrible, but it’s simply not in the same league as, say, a Suzuki SV650 or Kawasaki ER-6. To sum up, the bike, which is barely 100 euros cheaper than an SV650, isn’t worth it. 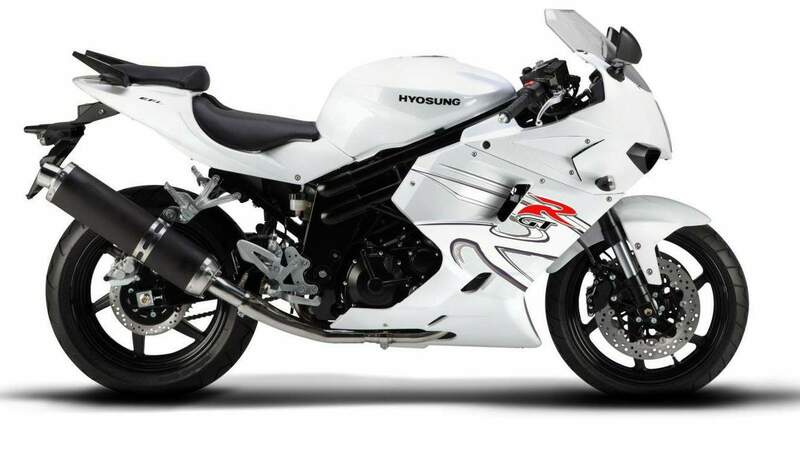 This verdict may seem harsh, but in a market where competition is strong, the Hyosung simply doesn’t have any special talents to recommend its case.